When I was ten years old, my parents gave me a long-awaited Christmas gift: a small television for my bedroom. A TV of my very own? I was thrilled. I could finally watch what I wanted without having to fight with my younger brothers for control of the remote. For a budding pop-culture junkie, there was no better present than that. Having the freedom to peruse the channel listings without someone clamoring over my shoulder to “watch Teenage Mutant Ninja Turtles again!” was a godsend. For what felt like the first time, I was discovering “new” networks, channels other than the old familiar stalwarts like Nickelodeon and the Disney Channel. And one of those networks was AMC–the former American Movie Classics. One early Saturday morning, AMC introduced me to an adorable little girl named Shirley Temple. I tuned in during the middle of the movie–I don’t recall now which one it was–but I was intrigued enough to watch until the end, and to be sad that I had missed the first half. Luckily for me, however, there was another Temple film on directly after that one, and I watched it from start to finish. And every Saturday morning after that, as AMC played one, two, sometimes three Shirley flicks in a row, I was there, devouring them gleefully. That was my gateway into black-and-white film. I’d seen the classic black-and-white Mickey Mouse shorts before, and loved them dearly, but there was something different about seeing live-action in the same black-and-white. It wasn’t old or off-putting to me. There was something magical about it, something indefinable. To this day, I can’t fully articulate why b&w films like those early Shirley movies grabbed me so, but from that point on, I was hooked. Though as I’ve grown older, the more cynical adult in me finds those early Shirley Temple films to be pretty treacly, I still end up watching them on occasion. Just last month, TCM aired Bright Eyes (1934), which features Shirley’s famed rendition of “On the Good Ship Lollipop.” And though I couldn’t help but let loose a snarky comment about how hypnotic those curls must be to make me tune in to the film in the first place, I’ll admit something to you: I watched the entire thing, and damned if I wasn’t smiling by the end. 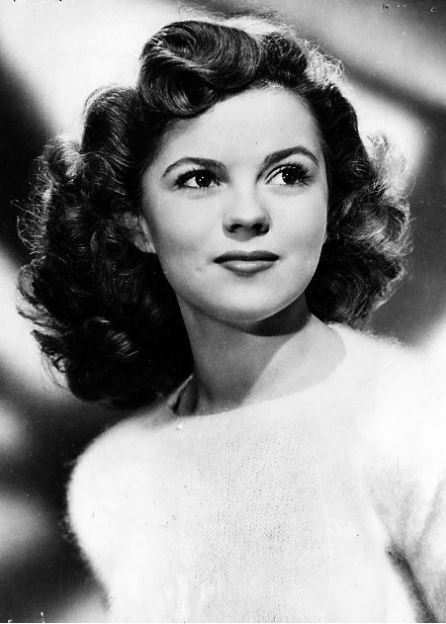 While she went on to star in more adult roles as a teenager (Since You Went Away, The Bachelor and the Bobby-Soxer) and in later years enjoyed a long career in politics as Shirley Temple Black–the remarkable second phase of what was already quite a remarkable life–to many of us, she will always be that precocious, captivating little girl onscreen. And waking up this morning to hear the news of her death, I can’t help but feel a genuine pang of grief. We lose classic film stars every day–it’s a hazard of loving an era so long gone by. Yet this one feels somewhat personal, because Shirley Temple influenced my life in an unexpected way. 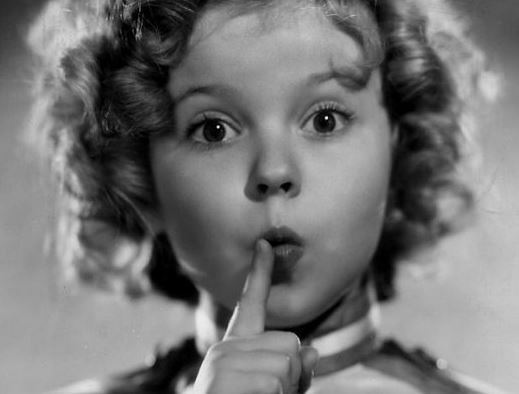 I credit the films of Shirley Temple for instilling in me an early love for classic movies. Shirley Temple’s adventures encouraged me to seek out other dancing-and-singing pictures, like the Fred Astaire and Ginger Rogers films, and I fell in love with them, too. Classic musicals led to romantic comedies, which led to the discovery of screwball films. Exploring the filmographies of those brilliant comedians led to dramas and gangster flicks and noir and Westerns and everything in between. And it continues to this day, because the beauty of being a film fan is that there is a seemingly infinite number of wonderful pictures yet to be discovered, a bevy of “new-to-me” films still left to be seen from over a century’s worth of movie-making. Everything that I do with this blog–indeed, the very essence of the true joy and amazement that, even to this day, I feel every time I watch a Hollywood classic–can be traced back to those mornings in the early 1990s when I sat in front of a 13-inch television, utterly enthralled by a dancing, singing, dimpled moppet with precisely fifty-six golden curls on her head. There are no words sufficient enough to thank Shirley Temple for that. So I will simply say a heartfelt Godspeed, Curly Top. Baby, take a bow–you conquered the world. Ginger and Shirley and Christmas … Oh, My! What a lovely tribute to a wonderful, talented, little girl who grew up with dignity and courage that still inspires me. I feel the same way! The Little Princess was definitely my gateway into a love of classic film. This is indeed a sad day. Brandie, your wonderful post about the late, great Shirley Temple touched my heart and reminded me of times with my dear late mom as we watched her films together when I was a kid. She really had a remarkable life, from her career in films, to her conquering breast cancer, to being an ambassador, no less. There was more to her than Curly indeed. Farewell to the little girl who grew to be an amazing woman! I had never thought of Shirley Temple as a springboard to the rest of classic Hollywood, but now that I think of it, the concept makes sense. And Shirley always managed to transcend treacle through her personality, making some otherwise cringe-worthy moments (e.g., the undercurrent of race stereotypes in her dances with Bill “Bojangles” Robinson) work. And even at that incredibly young age, she was the epitome of professionalism.